I was asked to make a salad for the Teacher Appreciation Luncheon a week or so ago. 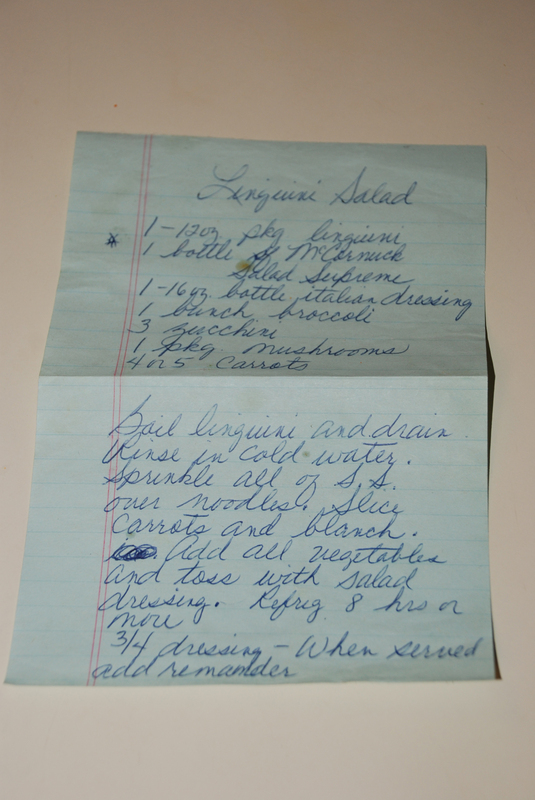 Back when I was teaching, Beverly Dawkins made this Linguini Salad every year for our luncheon. It is sooooo yummy! Thank you, Mrs. Beverly, for the recipe. 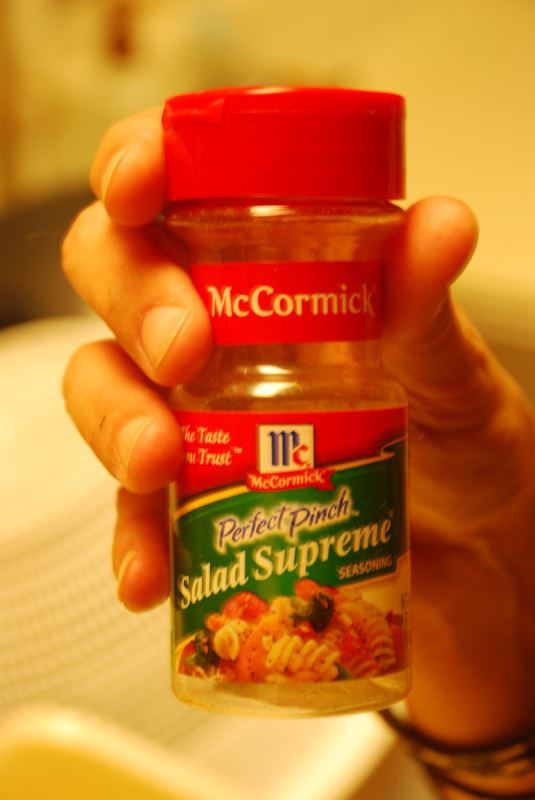 •Sprinkle ALL of the Salad Supreme over noodles. a. to scald briefly and then drain, as peaches or almonds to facilitate removal of skins, or as rice or macaroni to separate the grains or strands. b. to scald or parboil (meat or vegetables) so as to whiten, remove the odor, prepare for cooking by other means, etc. In other words, boil ’em a little while then throw ’em in some ice water to stop the cooking. 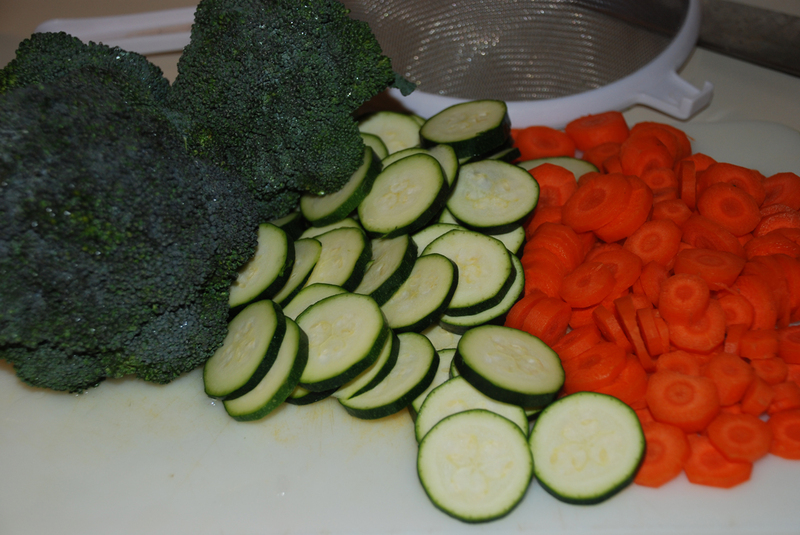 •Add all the veggies and toss with the 3/4 of the salad dressing. •Refrigerate at least 8 hours. 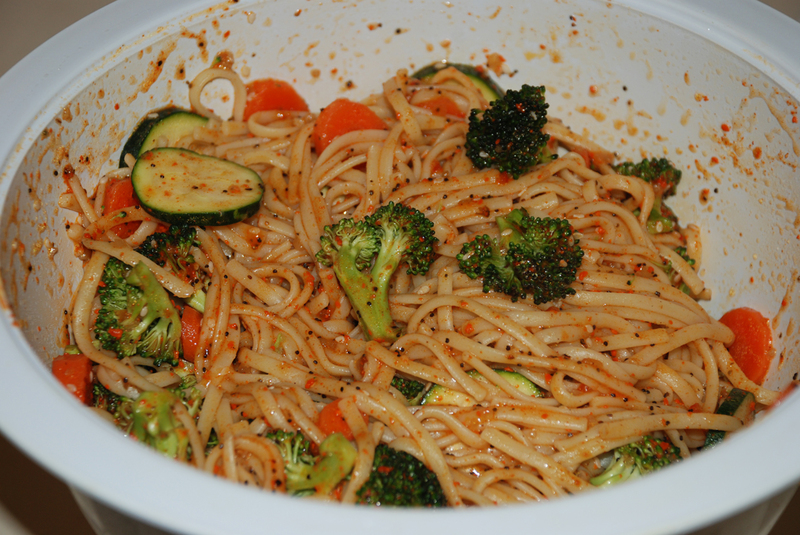 •Before serving add the rest of the dressing and give it all a good toss. I hope the teachers liked it. The bowl DID come back empty!